Beginning next year, the government will take full control of the Angkor Archaeological Park, ending a controversial concession with private firm Sokimex, which holds the right to sell tickets to the country’s most popular tourist draw. Prime Minister Hun Sen an­nounced the decision in a statement posted to his Facebook page on Friday, saying the move was made at the request of Sokha Hotel Group, a subsidiary of Sokimex, whose owner, Sok Kong, has close ties to the ruling CPP. “There is important news for Cambodian people across the country that from next year 2016 onward, the Royal Government of Cambodia will take over management of the entire Angkor park, including staff, revenue and expenses,” the statement said. “At the request of the Sokha Hotel Group, the Royal Gov­ernment decided to end its contract to collect fees from selling tickets to visit Angkor with the Sokha Hotel Group,” it continued. The statement said that staff currently working in the ticketing offices at the park would keep their jobs. Mr. Kong could not be reached on Friday. Heu Heng, deputy director of Sokimex, declined to comment. The government first handed over the ticketing rights for the Angkor park to Sokimex in 1999. The deal has since drawn waves of criticism from opposition politicians who say that access to the ancient—and highly profitable—temples should be managed by the state. Under its agreement with the government, Sokimex retains 15 percent of the revenue collected from ticket sales and sends 15 percent to a conservation fund to develop the area around the Angkor Archaeological Park, while a further 10 percent is taken as value-added tax. The remaining 60 percent is supposed to go into the National Treasury. According to the Apsara Auth­ority, the government body that manages the park, there were 2,059,702 foreign visitors to Angkor Wat in 2014, generating $59.34 million in total revenue from ticket sales. Long Kosal, spokesman for the authority, said those numbers had increased slightly in the first 10 months of this year. Revenue from the park is expected to continue increasing, as the government has made tourism a central part of its economic planning, with Angkor Wat regularly ranked among the world’s top tourism destinations. 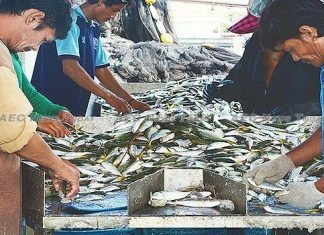 Council of Ministers spokes­man Phay Siphan said on Friday that the government no longer needed a private firm to help it manage such a large and lucrative operation, a significant shift from when it first partnered with Sokimex 16 years ago. “In the beginning, the IMF and World Bank didn’t want the government involved in doing business because at that time, the government had no money and no experience, so that is why the government looked for private partnership,” he said. Mr. Siphan said that with the Angkor park proving to be a profitable business with little risk of losing money, the government was now prepared to take it over. 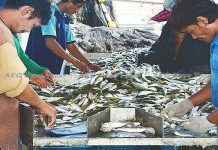 The spokesman said that the additional revenue would be used to raise the salaries of state employees, and that the decision was in no way influenced by pressure from the opposition CNRP to cancel the contract with Sokimex. “This has nothing to do with the opposition. The opposition has no experience to run the country,” Mr. Siphan said. Opposition lawmaker Son Chhay, who has long claimed that the state was losing millions of dollars in revenue due to the deal with Sokimex, commended the government’s decision to take over ticketing. However, Mr. Chhay said that the government should not let Sokimex off the hook for what he claims was vast mismanagement of funds in the past. “I believe that there was lots of stealing, which requires the government to conduct an investigation even though the government decided to take it away from the company,” he said.